Established in 1971 and headquartered in Scottsdale, Arizona, Barrett-Jackson, The World’s Greatest Collector Car Auctions, is the leader in collector car auctions and automotive lifestyle events. Barrett-Jackson specializes in providing products and services to astute classic and collector car owners and automotive enthusiasts around the world. Barrett-Jackson produces The World’s Greatest Collector Car Auctions in Scottsdale, Arizona; Palm Beach, Florida; the Northeast at Connecticut’s Mohegan Sun and Las Vegas, Nevada, where hundreds of the most sought-after, unique and valuable automobiles cross the block in front of a global audience. 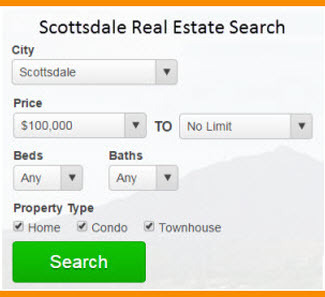 Scottsdale, AZ is the premier auction location that provides all of the fundamental essentials which attract buyers and sellers from around the world. Russo and Steele’s Scottsdale auction is the primary destination for automobile enthusiasts to buy and/or sell the very best in European Sports, American Muscle, Hot Rods, and Customs. Following with tradition, we are continuing with our signature “Auction in the Round” format, and will offer 5 days of Auction excitement and over 750+ classic cars. The Scottsdale auction event has a reputation for wild, action-filled, auction block excitement earning the honor of being “one of the major players in the Scottsdale scene. Rapidly upping their game to become a one-stop shopping venue for lovers of all manner of post-war vintage machinery, both domestic and imported” according to Hemmings Sports and Exotic Magazine. Silver has skillfully established a solid reputation for auctioning affordable collector cars in this January-in-Arizona extravaganza. Silver’s auction continues to grow each year because it is filling a much-needed auction alternative. Thousands of buyers and sellers want an auction where they can buy and sell in an arena that they are personally comfortable in. Silver provides that alternative for the greater Phoenix area since 1992. Silver’s Fort McDowell auction offers real buyers and sellers, real cars and real deals. 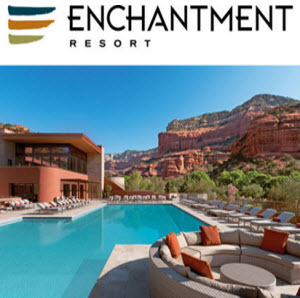 Arizona is long-known as an ideal winter destination, and each January Scottsdale hosts a thriving automotive marketplace adjacent to the Fashion Square Mall and charming Old Town Scottsdale. Gooding & Company has brought a refined approach to this lively and well-established event, offering stunning vehicles across marques and eras. When our viewing showcase opens on Wednesday of Arizona Auction Week, enthusiasts will be able to enjoy the high-quality assortment of vehicles up for auction and connect with Gooding & Company’s top-notch staff and fellow collectors. Over the past eight years in Scottsdale, Gooding & Company has consistently raised the bar for the collector car year, with records that reset the market. Our exceptional collection often becomes the talk of the town – and beyond. The collector car auction season always starts on a strong note, with RM Sotheby’s returning to the vibrant grounds of the Arizona Biltmore Resort & Spa in Phoenix on January 28–29 for its 17th annual Arizona sale. The two-day auction will build on RM’s strongest performance in Arizona to date in 2015, an event which generated an incredible $63.7 million in sales, representing a nearly 40 percent increase over 2014. The 2015 event was also witness to the most valuable automobile sold in Arizona auction history: a 1964 Ferrari 250 LM that achieved an outstanding $9,625,000. RM Sotheby’s 2016 Arizona sale is set to continue the company’s strong track record in Phoenix, as it will present more than 100 blue-chip automobiles from the world’s most iconic marques. The vehicles have been hand-selected by RM’s international team of specialists, and the catalogue will span the spectrum of the market, from pre-war classics through to important sports and racing cars and contemporary supercars. Bonhams is one of a very few top-tier fine art auction houses in the world. Since its establishment in 1793, it has been amongst the most respected and trusted brands in the industry. From a single showroom in eighteenth-century London, Bonhams’ expertise and the trust of its clients has enabled it to grow into the internationally admired business it is today. Over the last couple of decades, Bonhams has experienced a remarkable period of prosperity and expansion under the seasoned and capable leadership of its executive board. The current owners acquired the family-owned firm of Bonhams and merged it with specialist auctioneer Brooks in 2000. This merger created the platform that has made Bonhams a powerful and dynamic twenty-first century auction house. Shortly after this partnership was forged, Bonhams was again expanded through the merger with Phillips Son & Neale, bringing together two of the four surviving Georgian auction houses in London. Butterfields, the principal firm of auctioneers on the West Coast of the United States joined the Group in 2002. Next Is the Le Cordon Bleu Ending Culinary Classes in Scottsdale?